While working at Mist Na Mara Arts Centre in Ireland, Kara Stewart embarks on a search for the birth parents of her mother, who was adopted in 1960 by an American couple. 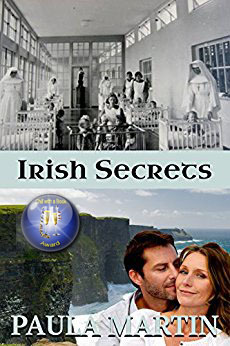 She soon realises the task is not as simple as she anticipated when she meets with a wall of secrecy surrounding Irish baby adoptions at that time. Taxi driver Ryan Brady is also hiding the secret of his real identity but, when he offers to help Kara trace her Irish family, the mutual attraction between them grows and deepens into love. As the secrets are gradually revealed, they drive a wedge, not only between Kara and Ryan, but also between Kara and her mother. Can they find a way to heal the rifts and heartbreak created by all these secrets?